The cornerstone of our Business Solutions is the iSolved® system. Through a cloud-based platform, iSolved delivers individual client customization, security, and scalability. Accessing data is simple and user friendly. iSolved’s cutting-edge payroll processing technology resides alongside the other core features of the software including human resources, benefits enrollment, and time and attendance to simplify your human capital management (HCM). By bringing the essential functions of payroll and HR together, iSolved makes it easy to keep track of employee data. All critical functions are in one database. No more exporting, importing, or clunky integrations. iSolved lives in the cloud, so you can access it anywhere at any time. 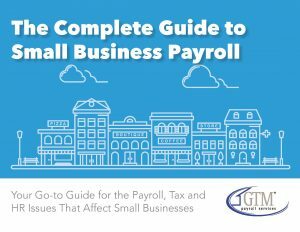 And, it’s designed and built from the ground up, based on customer feedback – so you can get payroll done quickly and accurately. No hassles. View and process payroll when you want, where you want, and how you want. Your data is available to you 24/7 from our secure data servers. No software to install or updates to make – allowing you to focus on your employees. Learn more about how iSolved’s payroll platform integrates with our full HCM system, and request a free demo to see how this technology will help grow your business.